Congratulations to Derek Decastro's selection to the 2013 Massachusetts State Hockey Coaches Association High School All-Star Classic. 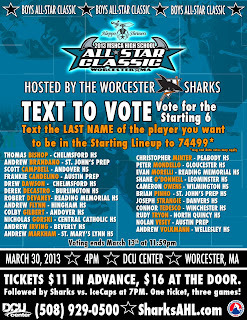 The game is hosted by the Worcester Sharks of the America Hockey League and will be played at the DCU Center in Worcester, MA on 3/30/13 at 4:00 PM as part of a triple header Prior to the boys game, the MSHCA Girls All-Star team will play at 1:45 PM and at 7:00 PM the Worcester Sharks host the St. John's Ice Caps. Derek is one of only 46 players chosen to participate in this event. 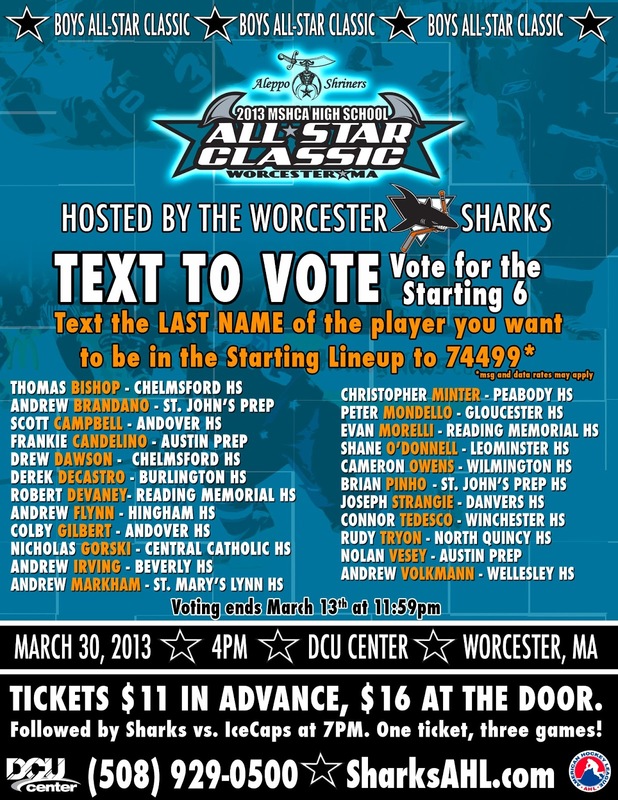 Fans can vote for Derek, via text, for the starting lineup now through 11:59 PM on Wednesday, 3/13/13. Simply text decastro to 74499 to cast your vote.